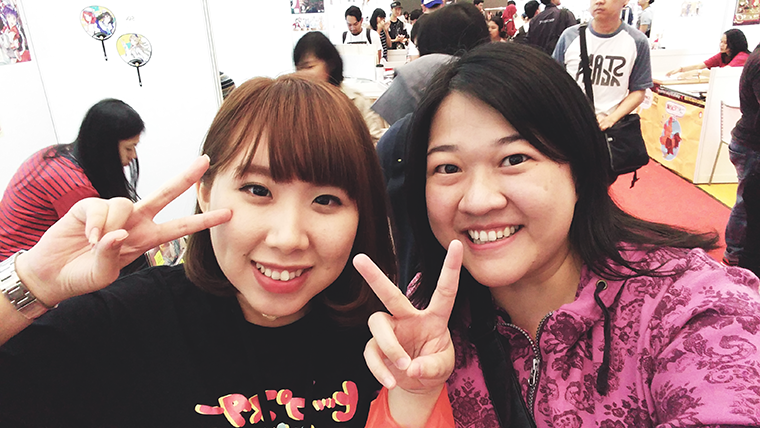 Hello, lovelies~ A few weeks ago, G and I were feeling adventurous and decided to go to Popcon Asia. 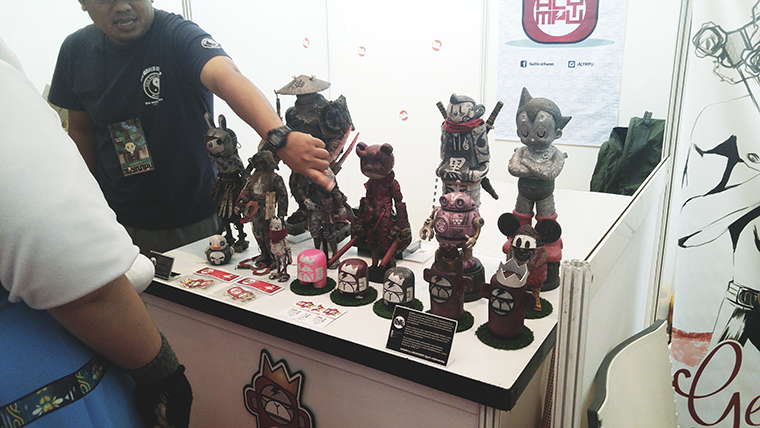 It was held at Jakarta Convention Center for three whole days. We don’t usually go to these types of events, but I (kinda) begged him to because one of my friends is the exhibitor. Shout out to Stephanie (@cstefanie)! It didn’t took him long to agree, so off we go. I was super excited that I made plans to go to which booth before the event started. Unfortunately, we went on the second day because the first day was a Friday. 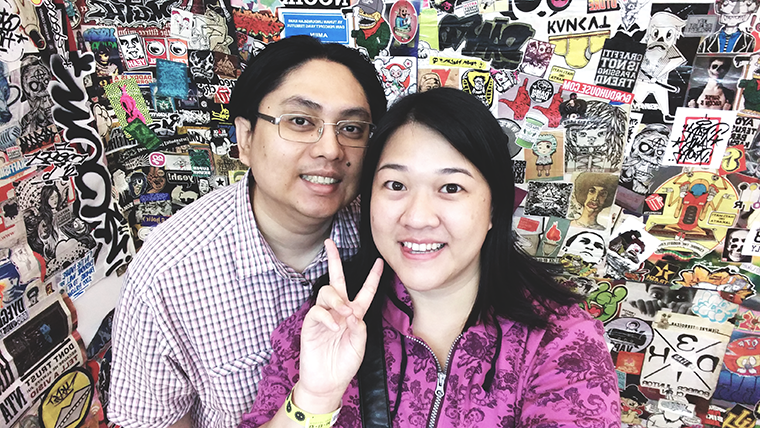 Saturday came and I woke him up early, so we won’t have to queue too long to get into the venue. There weren’t much traffic and parking was easy because we arrived around 9:45-ish. 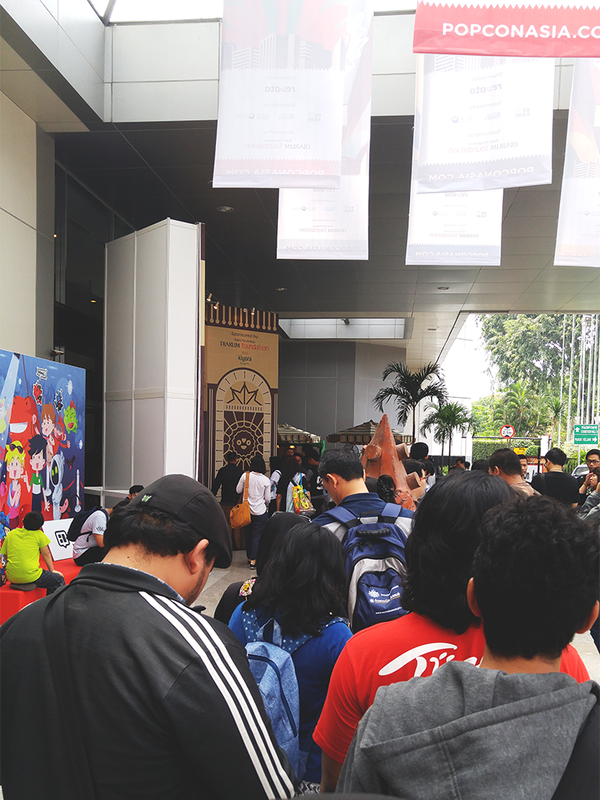 However, the queue was already quite long, but we waited and prevailed! 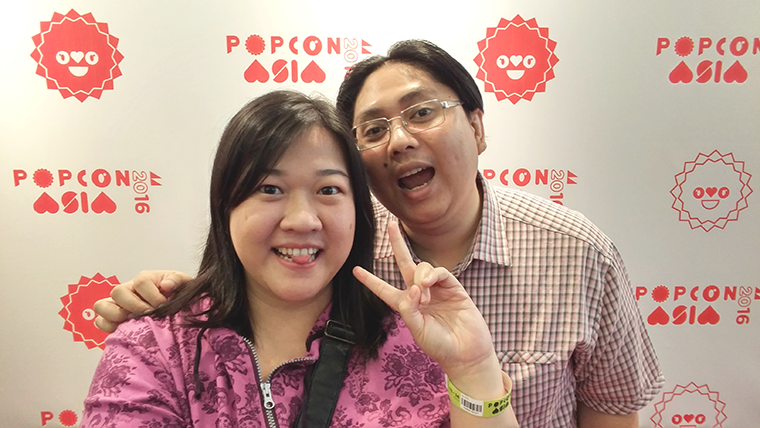 As soon as we got our entrance tickets, we took a picture in front of the big-screen-type-thing-with-the-popcon-logo. I even brought my monopod, so that we can take selfies without having to bother other people. Yes, I am that prepared, lol. Once inside, I took a quick look at the map as well as the booth that I had marked the night before. I rushed to get to Steph’s booth and bought a couple of cute things. Steph was with her other two friends and their booth’s name is tigacina (@tigacina). They have Pokemon illustrations as well as their own. Steph’s Fuyu Hime (at least that’s what I call it) is softly enchanting, I had been eyeing it since she posted the drafts on her instagram. 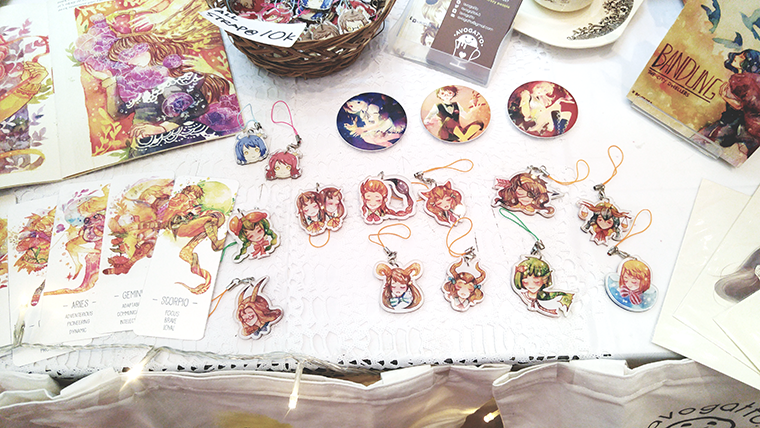 Once I got everything from her booth, G and I went off to see other booths and (basically) just explored the place. 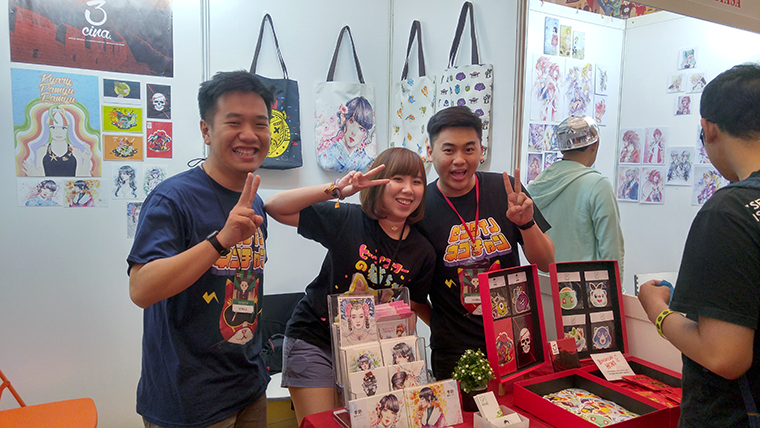 We didn't get much photo taken because I had so much fun going from one booth to another. I bought lots of stickers and keychains that G must've thought I was mad, lol. There were other things like sculptures and figures, but I mainly got the cute stuff.